This book is specifically aimed at people who are interested in learning to build real-world applications using Smalltalk/V (and, more specifically, Smalltalk/V 286). To some extent at least, it picks up where the Smalltalk/V tutorial leaves off, although it also includes a bit of refresher material that extends some of the information in that tutorial as well. 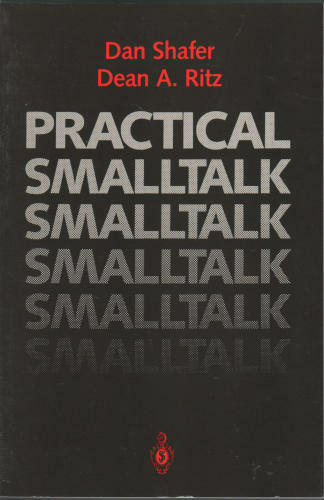 This book is written for people who want to become productive in Smalltalk programming in as short a time as possible. The book presents the information that the reader needs in order to understand the concepts and the capabilities of Smalltalk. Bridging the gap between established software engineering principles and the real-world programming, this book presents guidelines for programming in the Smalltalk language that will result in source code that is clear and easy to understand. The book is an overview of the concepts and syntax of the programming language, and an annotated and illustrated specification of the system's functionality. The book gives an example of the design and implementation of a moderate-size application. This tutorial gives you a taste of programming in the Smalltalk-80 language and environment. Our approach is to guide you through several versions of a small program in a short time. The book is just a 'taste', not a reference manual.